At Tervo, our personal insurance lines provide our customers with protection for their homes, vehicles and toys, in addition to life insurance, disability, and more. Our job is to assess your coverage and liability needs, customize a plan to fit your requirements, and walk you through your coverage details. Take a look at the types of personal insurance we offer below. Scroll down for details on each. Homeowners insurance covers the cost of repairing or rebuilding your home if it’s damaged by a storm, fire, lightning, etc. It also covers the loss or damage of the contents inside your home. Nothing beats the peace of mind knowing your hard-earned investments are protected. Auto insurance helps pay the costs of repairs and medical bills if you’re involved in a car accident or hit by an uninsured/underinsured driver. Drivers are required to carry auto insurance, so let’s make sure you’re covered before getting behind the wheel. Motorcycle, Recreational Vehicles, Motor homes, Watercraft, and more. 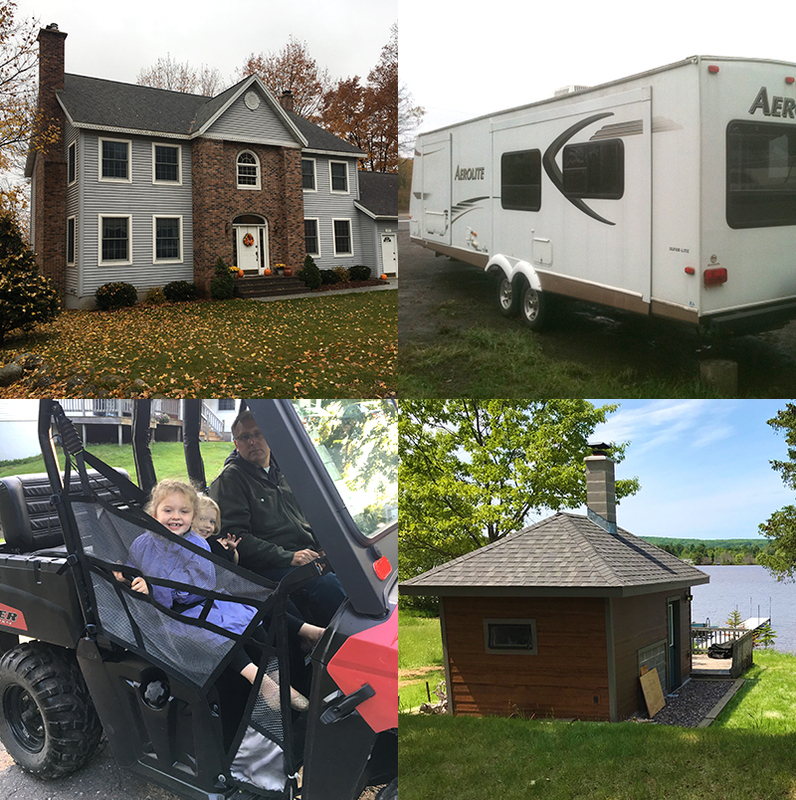 Many of us enjoy spending time outdoors with our recreational vehicles during our area’s four beautiful seasons. These toys have different coverage needs and we’ll help you understand the best way to protect them. Life insurance: In the event that a parent or spouse passes away, life insurance provides families with financial security. It can help with the payments of mortgages, higher education loans, retirement, assist with estate planning, and more. Disability provides income to those who are not able to work due to an illness or injury. Since a variety of factors can affect the cost, we’ll work with you to design the right policy. Annuities allow you to grow and protect your investments now, providing an income stream when you retire. Umbrella insurance is extra liability insurance, covering you above and beyond the coverage of your home and auto insurance. It’s designed to protect your and your assets from major claims and lawsuits.